Baisakhi di Balle Balle in Malaysia!! Singh is King of the World! Malaysia is all set to experience the rich and colourfulbackground of the Punjabi Culture. On April 23rd, The Malaysian Punjabi Chambers of Commerce and Industries (MPCCI) is organising a Malaysia Vaisakhi Open House in Kuala Lumpur where thousands of Malaysian Sikhs and their friends will gather to celebrate the auspicious festivities of Vaisakhi! Aptly named MyVaisakhi Fest 2016, the day long festivities on April 23rd, will be inaugurated by the Prime Minister of Malaysia ,Dato’ Sri Haji Mohammad Najib at the Malaysia Tourism Centre (MaTiC) at Jalan Ampang in Kuala Lumpur. The gathering is expected to be attended by over 4000 guests! Besides bringing to life the essence of Punjabi culture, the highlight of the day will be an attempt to enter the Malaysia Book of Records for making 2000 chapattis in 3 hours! Needless to mention, one will get to see the never dying spirit of the Punjabis all set to break this record! MPCCI President Dato Daljit Singh said that, “ We welcome one and all to be part of our celebrations. In fact all Indians visiting Malaysia during this time should be a part of MyVaisakhi 2016! You can get a taste of home here!” “We have Dhol dances, Cultural shows , go kart rides, sand art, turban tying booth, henna art booth…everything that’s Punjabi will come to life on this day!”, added Dato Daljit. Dato Daljit Singh is also Indian Community Relations Advisor to the Minister of Tourism and Culture, Malaysia. Tourists can also get an insight into the Punjabi culture by visiting the Punjabi History, heritage and Culture exhibition being held until April 30. The Sikh community has existed since the 16th century and MyVaisakhi 2016 is an attempt to showcase the Punjabi and Sikh tradition and history so that the younger generation can learn about where they come from and embrace their culture. About Tourism Malaysia: MALAYSIA TOURISM PROMOTION BOARD OR TOURISM MALAYSIA is an agency under the Ministry of Tourism & Culture, Malaysia. Tourism Malaysia focuses on the specific task of promoting Malaysia at all levels. Since its inception, Tourism Malaysia has grown by leaps and bounds and it has emerged as a major player in the international tourism scene. In 2015, Malaysia registered 25.7 million tourist arrivals and RM69.1 billion in receipts, making tourism its second largest foreign exchange earner. Malaysia has always been a favorite destination for Indian entertainment industry. Latest to join the trend is Tamil film industry, popularly known as Kollywood, superstars Rajnikanth and Surya who are currently in Malaysia for their next movie Kabali and S3 respectively. Superstar Rajnikath is currently in Malaysia shooting for his next movie Kabali. The movie is shot in some of the exotic locations of Malaysia over next few weeks and also stars a couple of Malaysian actors. This is the second schedule of shooting and the superstar was earlier in Malaysia last year and was astonished to see his fan following in the country. Kabali is an ambitious project which is loosely based on the life of popular don Kabaleeswaran. Similarly, for his third movie in the Singham franchise ‘S3’, superstar Surya has chosen Malaysia as his preferred destination. Surya and his team will be shooting some rare action sequences in the next three weeks. The first two movies of the franchise were major blockbusters. The team is hopeful that with some extensive martial art sequences at the serene backdrops of Malaysia, ‘S3’ will be the biggest blockbuster to wait for in 2016. The movie also stars Anushka Shetty and Shruthi Hassan. Malaysia has always supported international movie industries from Bollywood to Hollywood. With a large Tamil speaking population and a huge fan following for Kollywood, shooting of superstars Rajnikanth and Surya only add to the glorious relationship Indian and Malaysia have always shared. As the last quarter of the year approaches, Malaysia gears up to boost its shopping experience with some never-seen-before shopping offers. 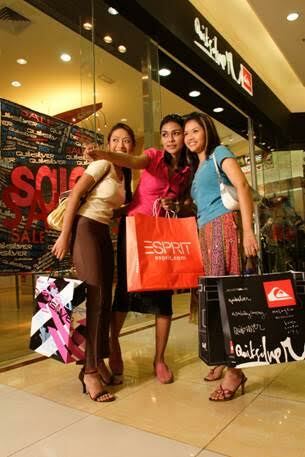 Malaysia has three major shopping seasons in a year, including 1 Malaysia Grand Prix, 1 Malaysia Sale Carnival and the Grand Year End Sale. To boost the grand retail finish and retain customer confidence, Malaysia brings forth the exclusive Tourist Refund Scheme. According to a survey conducted recently by Tourism Malaysia, tourists spend maximum on shopping and the country witnesses dedicated tourists for shopping across key market hubs. 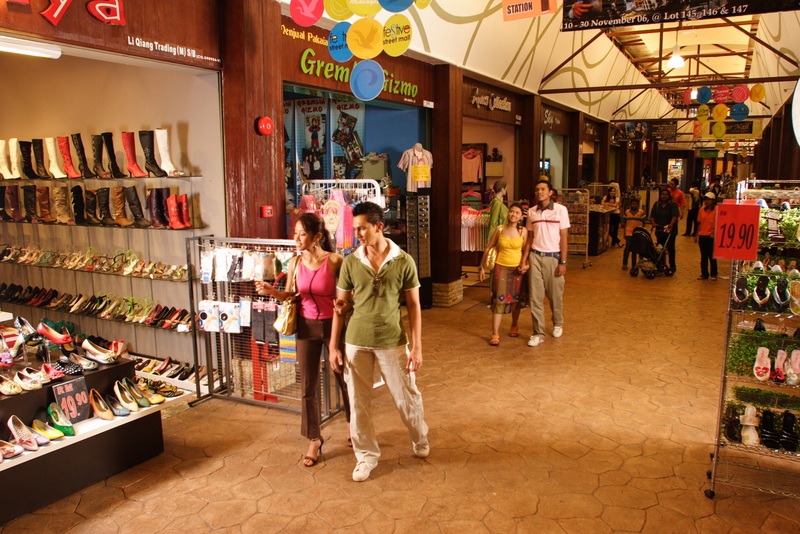 The survey shows that tourist expenditure on shopping took the top spot from accommodation as travel component for the first quarter of 2015, with an increase of 10.8% to RM4.9 billion against the same period last year. 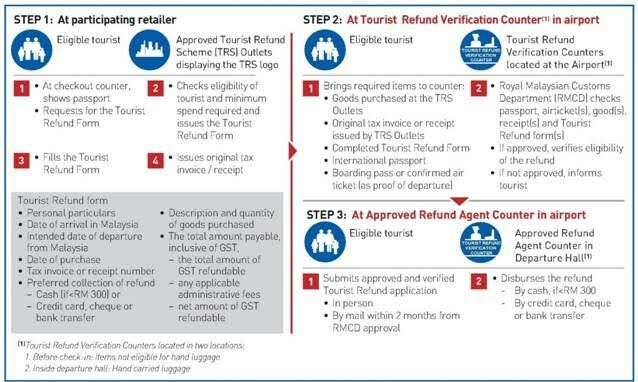 Royal Malaysian Customs Department (RMCD) has appointed IRIS Global Blue TRS Malaysia SDN BHDto implement the Tourist Refund Scheme which allows the shoppers to claim refunds from the participating 400 retailers across key shopping destination. With a minimum spend of MYR 300, customers can ask for GST Refund Form. In order to avail refunds, the customer simply has to present the Refund Form along with passport and with a simple verification process, the refund can be claimed before departure from the country. Customers may combine receipts from the same Approved Outlet over a three month period prior to their departure from Malaysia. 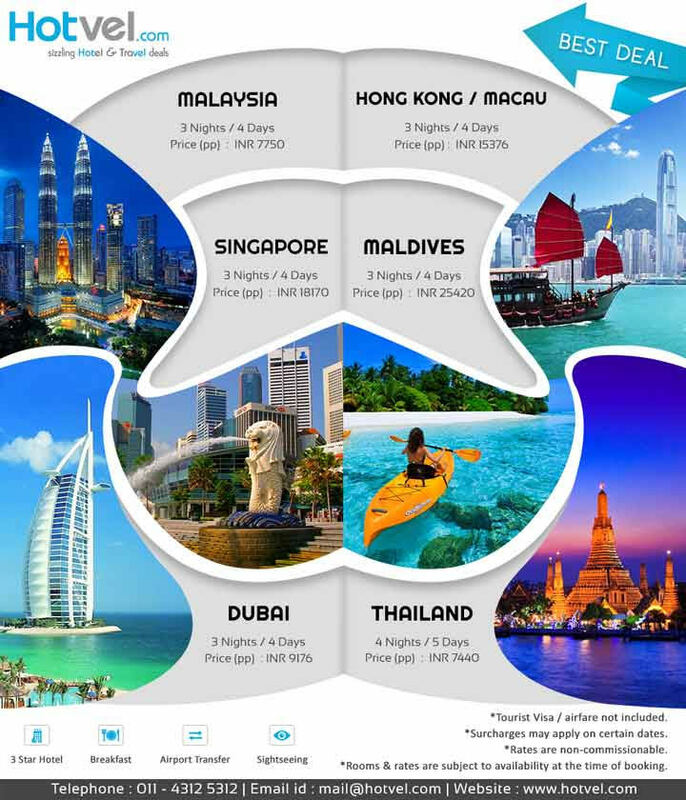 As part of its continuing efforts to promote awareness on the celebration of Malaysia Year of Festivals (MyFest) 2015 in India and to boost arrivals from here, Tourism Malaysia launched special tourism packages at the PATA Travel Mart 2015 in Bangalore. At a special media briefing session, Tourism Malaysia’s Deputy Director-General (International Promotion) Dato’ Haji Azizan Noordin announced that special tourism packages have been developed in conjunction with the upcoming 1Malaysia Year-End Sale (1MYES), to be held from 14 November 2015 to 3 January 2016. 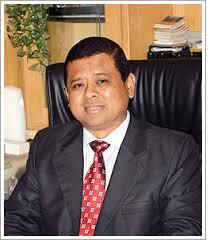 Dato’ Azizan is also the Chairman of PATA Malaysia Chapter. 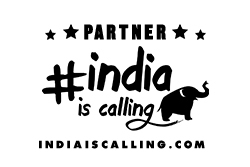 “India is a significant contributor to tourism in Malaysia. In fact, India is the sixth top tourist market for us. Last year, we had 770108 Indian visitors which is 18% growth from 2013 (650989). We are hopeful that MyFEST 2015 will keep Malaysia as top-of-the-mind tourist destination, encouraging Indian tourists to stay longer in order to enjoy the festival offerings nationwide,” said Dato’ Azizan. Updating the media about new tourism developments and products in Malaysia, Dato’ Azizan emphasized that besides shopping, leisure and luxury holidays are also key focus areas this year. The media briefing session included presentations by the Shopping Secretariat, Legoland and Hello Kitty Representatives. Dato’ Haji Azizan is accompanied by Malaysian sellers who will help promote the country to the global tourism market. Among the sellers include big names in the local tourism industry, such as Tourism Johor, Iskandar Regional Development Authority (IRDA), Lexis Hotel, Tourland Travel, Borneo Nature Tours, Asian Overland, World Express, Planet Borneo Tours, Legoland Malaysia, Theme Attractions & Resorts, and Flexiroam. The décor of Tourism Malaysia’s booth at the PATA Travel Mart highlights the Malaysia Year of Festivals (MyFest) 2015 in an effort to step up promotion of the tourism campaign. It is also in line with the Government’s efforts to promote Malaysia as a culturally rich travel destination. As part of its promotional activity, Tourism Malaysia’s booth featured Teh Tarik and Batik drawing demonstrations. During the participation at the PATA Travel Mart, Tourism Malaysia also organised various programmes for travel trade players to meet up and network among themselves, providing Malaysia’s tourism industry players the opportunity to strengthen ties with their Indian counterparts. This year, the 38th PATA Travel Mart attracted more than 1,000 delegates from over 60 countries and facilitating over 10,000 pre-matched appointments, as well as brought together qualified international buyers and sellers for face-to face meetings, educational forums and networking functions. Posting Promotional Information Leaflet. You can connect with them on your own to find out the details. Me as Blogger take no responsibility about the content or terms and conditions offered. The 16th edition of the most spectacular celebration of Indian Cinema globally, the International Indian Film Academy (IIFA) Awards today announced the hosts for some of IIFA’s most awaited sub-events and performances that will take place at the IIFA Weekend this year. 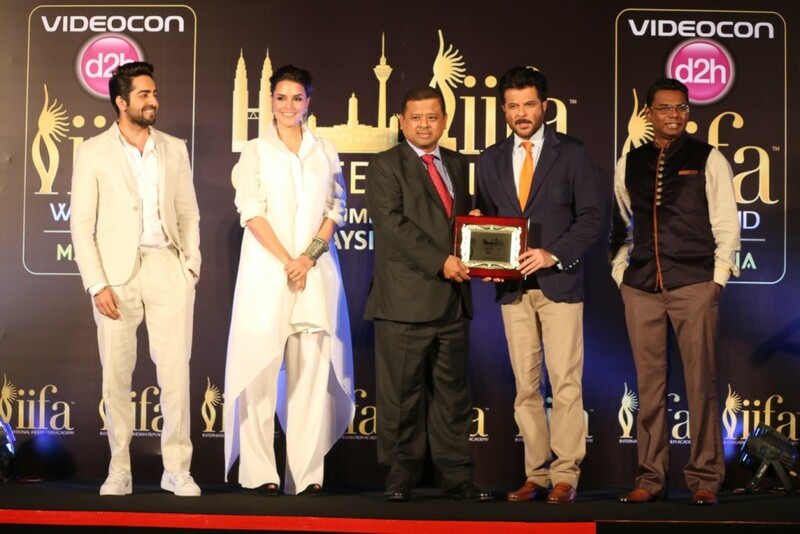 The Videocon d2h IIFA Weekend & Awards will take place at Stadium Putra in Kuala Lumpur, Malaysia from 5-7 June 2015. The IIFA Weekend this year will also see a night exclusively dedicated to fashion which will be hosted by Friend of IIFA, Neha Dhupia. IIFA Rocks, the exclusive music extravaganza will see a host of fantastic musical performances by Shankar-Ehsaan-Loy, Mika, Ankit Tiwari, Kanika Kapoor, Jawed Ali and the Nooran sisters. Superstars Jacqueline Fernandes, Aditi Rao Hydari, Lisa Hayden and Lauren Gotlieb will also take the IIFA Rocks stage for some incredible performances. At the 16th Videocon d2h IIFA Weekend, the IIFA Gala Screening on 6th June in Kuala Lumpur, Malaysia will feature the highly awaited star-studded film Dil Dhadakne Do. The film is a bittersweet comedy drama about a family that takes a trip which changes them forever. With an ensemble cast of Ranveer Singh, Priyanka Chopra, Anil Kapoor, Shefali Shah, Farhan Akhtar and Anushka Sharma, the film is directed by Zoya Akhtar and produced by Ritesh Sidhwani and Farhan Akhtar. The event will be telecast on India’s leading Hindi entertainment channel Colors with foot prints in over 140 countries. Tickets for the biggest celebration of Indian Cinema abroad are available for sale. Log on to http://www.myticket.asia or call 03-8080 8700 or 017 2447139. Patrons wishing to purchase VIP Hospitality Tickets can send an email to viphospitality@iifa.com. About Tourism Malaysia: MALAYSIA TOURISM PROMOTION BOARD OR TOURISM MALAYSIA is an agency under the Ministry of Tourism & Culture, Malaysia. Tourism Malaysia focuses on the specific task of promoting Malaysia at all levels. Since its inception, Tourism Malaysia has grown by leaps and bounds and it has emerged as a major player in the international tourism scene. In 2013, Malaysia registered 25.7 million tourist arrivals and RM65.4 billion in receipts, making tourism its second largest foreign exchange earner and the sixth highest contributor to its Gross National Income (GNI). The city of Kuala Lumpur is set to come alive amidst a 3-day food festival at the iconic Dataran Merdeka later this month. Kuala Lumpur City Hall in partnership with the Ministry of Tourism & Culture, is proud to present the inaugural Kuala Lumpur Big Kitchen Festival 2015.Heating its way from the 29th to 31st May 2015, the food festival will bring together gastronomic delights from the 13 Malaysian states, making local and international foodies spoilt for choice with the range of over 60 food counters serving up only the best. This was announced by Y.Bhg. Datuk Seri Hj. Ahmad Phesal Hj. Talib, Mayor of Kuala Lumpur at the media launch which simultaneously introduced its participating chefs, sponsors and partners held at Samplings on the Fourteenth in Berjaya University College of Hospitality. According to Euromonitor International, Kuala Lumpur is ranked 9th out of 100 leading cities for tourist arrivals in its annual Top City Destinations Ranking 2013.It is no surprise that Kuala Lumpur made the Top 10 list, as one of its attractions is the variety of food it serves which has always created a lot of interest with visitors from around the world. The Kuala Lumpur Big Kitchen Festival 2015, taglined “Bringing You the Gastronomic Experience”, is the ideal platform to introduce Kuala Lumpur as the ‘MELTING POT’ of South East Asia. The food festival will serve delectable dishes ranging from street food right up to fine dining while highlighting Kuala Lumpur as the GASTRONOMY HEAVEN to the foodies around the world. Incidentally Kuala Lumpur Big Kitchen Festival 2015 is a walk the plan initiative under Kuala Lumpur Tourism Master Plan 2015 – 2025, positioning Kuala Lumpur as a Malaysian cuisine heaven. One of its criteria is to create a food festival in Kuala Lumpur. Curated by UK Based Malaysian Chef and Kuala Lumpur Food Ambassador, Chef Norman Musa, the festival will also witness a host of celebrity chefs who will thrill and entertain with live cooking demonstrations and workshops throughout the Kuala Lumpur Big Kitchen Festival 2015. Visitors will get the chance to meet with local and internationally renowned chefs as they conduct cooking workshops and demonstrations, give talks and interact with them. Visitors can also learn to prepare and cook some authentic Malaysian dishes, and get some useful tips from the experts themselves during the festival. About the Festival: The 3-day festival will transform Dataran Merdeka into 8 QUARTERS to include every facet of Malaysian food – Negeri, Warung, Manisan, Food Trucks, Warisan, Samplings, The Dulang and Mayor’s Courtyard. Each Quarter will be set up in a unique presentation serving everything from one’s favourite childhood dish to science defying “molecular gastronomy” dishes. Negeri – This zone will feature the various signature cuisines that represent the 13 states of Malaysia. Warung – This zone features handpicked stalls or warung that offer some of the country’s best street food fare such as Nasi Lemak, Roti Canai and Char Kueh Teow. Manisan – This zone will have all kinds of sugary delights from traditional ice creams and candy to more localised sweet treats like cendol. Food Trucks – food trucks have become a growing trend in modern KL’s food offerings. These mobile eateries serve up interesting fare from fusion dishes to traditional delicacies that are prepared from inside a food truck. Warisan – This zone showcases the many traditional preparation techniques and instruments preserved for many years and recipeshanded down from the elders. Samplings – The Samplings zone will have a list of 5-star hotels in the city serving up some of their signature menus in bite sized portions. The Dulang – “Dulang” is the Malay word for tray,that serves “Nasi Ambeng” – a traditional communal dining and bonding experience that is popular in the southern state of Johor. Courtyard. Set in an indoor air-conditioned space, top chefs and culinary experts will whet the palette in preparing their signature gourmet cuisines. Participating restaurants and establishments in this area will showcase nothing but the best in the world of fine dining. With a single entry ticket, visitors will have the opportunity to attend all the cooking workshops and demonstrations (based on a first-come, first-serve basis as seats may be limited), listen to gastronomic talks and be entertained by cultural performances. About the Festival Competitions: To create more excitement during the festival, the Kuala Lumpur City Hall has organised the Big Challenge which includes three competitions. First, the KL Big Kitchen, Big Race, a cooking competition which includes racing against time to buy ingredients at KL’s oldest market, Chow Kit Market and returning to the Big Kitchen site at Dataran Merdeka to cook a dish. The second competition is the KL Signature Mocktail Competition, open to Malaysian amateurs or professional mixologists to create KL’s signature mocktail. Finally the KL Signature Dish Competition, a competition only open to Malaysians, is in search of a unique, signature dish using local herbs and spices.The winners of each competition will receive Cash Prizes, a Trophy from the Datuk Bandar Kuala Lumpur and gifts sponsored by the festival’s partners.